Are you ready for some football? We’ll help you get there. Those of us who aren’t in Minnesota are gearing up for Super Bowl parties here in Patriot Nation. Here is what you need for game day. 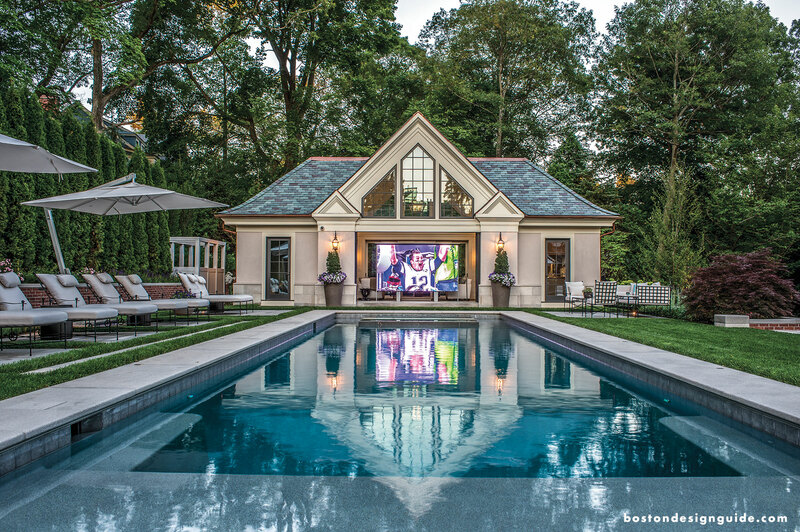 Seating and comfort for the big game is so key, many people actually prefer to watch the Super Bowl on their own home turf. For gridiron gatherings, sectionals are a must as they can manage a crowd…comfortably. 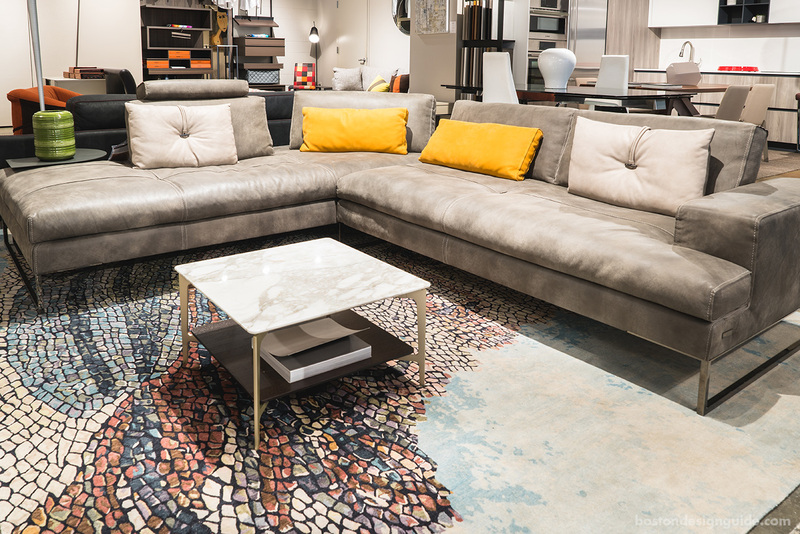 IL Décor’s new Sunset sectional by modern Italian furniture manufacturer Gamma, Italy, is a winning choice. Part of the new 2018 collection, it comes in a range of colors and configurations, has a stylish, playful appearance and movable back cushions. Score! Tasty comfort food is second only to the game as Super Bowl Sunday’s main attraction. Wings, sliders and other pub-style fare you can pick up and pass around easily are just the ticket. 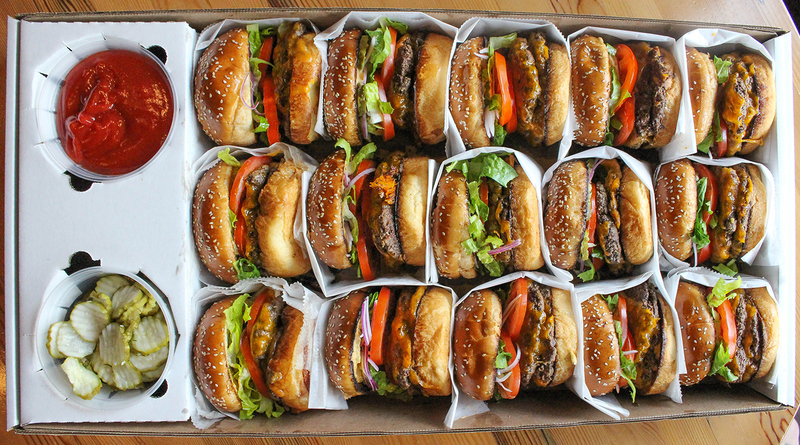 Need a little help with your Super Bowl spread? 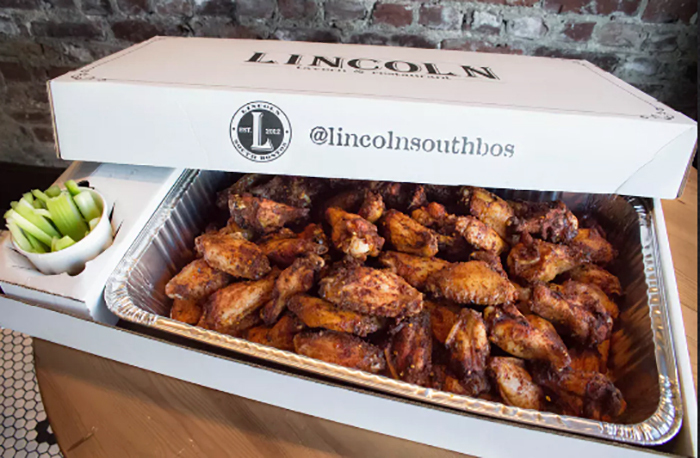 Lincoln Tavern & Restaurant has a full Football Catering menu, with wood-fired spicy wings, a BBQ pulled pork slider kit, and smash burgers (available with single and double patties). Get your large pre-orders in by Friday—they require 48 hours notice. They’re also offering game day bulk takeout and delivery for select items on Sunday, and a 10% discount for orders starting at 4pm. You just have to watch the commercials on Sunday to know that nothing goes with football or brings out the flavors of Super Bowl snacks quite like a good beer. 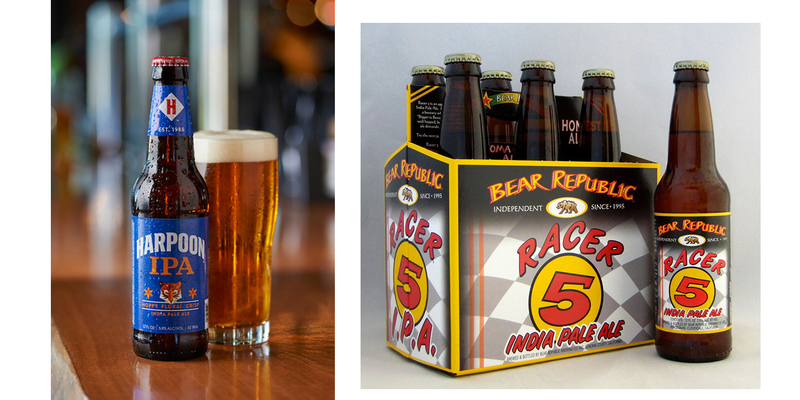 Choose an array for your friends to try, and include some rarer finds like Bear Republic's Racer 5 IPA (it's all the rage in Cali). You may also want to pick up a six-pack or two in support of local Harpoon Brewery—they’ve got a wager going with Yards Brewery in Philly where the winning city will tap the other’s beer for a day.